November 10, 2015 by Ecommerce News. About Acquisition with tags France. 3882 views. 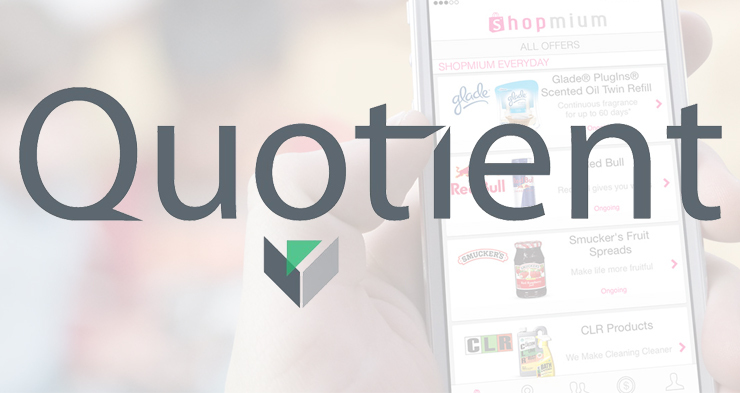 Quotient has announced it acquired Shopmium, a French mobile cash-back app that’s similar to ibotta and Checkout51. With the acquisition, Quotient has a new way to reach customers through their mobile devices. And of course, by incorporating Shopmium, Quotient now also has more data in house so it could better personalize and target media and promotions. Quotient became a pioneer in digital promotions with its flagship website Coupons.com, which has approximately 17 million unique visitors per month and a network of nearly 30,000 publishers. With the mobile receipt scanning and cash-back app of Shopmium, Quotient is now able to reach consumers directly. Using the app, shoppers can browse thousands of products, where they see relevant media and advertisements. They then redeem offers by taking a photo of the receipt. Shopmium has over 2 million registered users and is adding thousands of users a day. More than 97 million people are expected to use mobile coupons this year in the US alone, so Shopmium’s co-founder and CEO Eli Curetti thinks the potential is vast. He will continue to lead the product as part of Quotient.